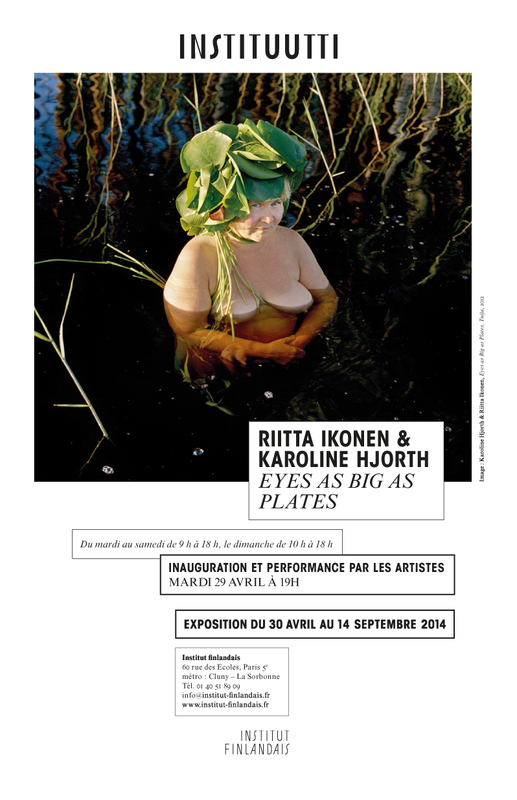 Thanks to the Finnish Institute in France, we’re back in Paris! Loving the spring and getting ready for the performance and exhibition opening on Tuesday. You might remember from our last September’s jamboree here, that we found the city singing and dancing. It so happened that two of the models we worked with were professional singers. As a tribute to all of the wonderful French models, this performance will be the first musical presentation of Eyes as Big as Plates to date. Music by Clément Dionet and Naruko, with Eric Meningand and Marie-Ange Gacherieu. Looking forward to seeing you at La rue des Écoles, right around the corner from Notre-Dame, Tuesday at 7pm. The exhibition will be open until mid September, so you’ll have plenty of time to book your trip to the city of beuf, fromage, pain au chocolat, pamplemousse et poubelle. Oh lala!